Release Date:04/21/2017;Notes:Collaboration between Richard Pinhas and Tatsuya Yoshida. Richard Pinhas, founder of '70s legends Heldon, is one of France's best known experimental musicians. He is a key figure in development of rock music processing with electronic music. Yoshida Tatsuya is one of the most important musicians of the Japanese experimental music scene, spearheading at least a half dozen of that country's most important groups, including Ruins, Sax Ruins, Koenji Hyakkei, and Korekyojinn. 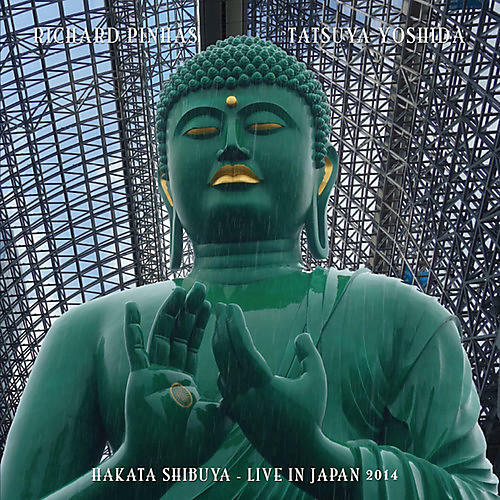 Recorded live at several venues in Japan between November 16 and December 1, 2014. 44 minutes of live, progressive, psychedelic, electronics - tumultuous and deep-whirling inspiration. Both musicians form a perfectly balanced communion of excesses, extending their performing skills in many ways.